Henkutsuya is a tradition that has grown since the third time I visited Hiroshima. For my third visit to Hiroshima, I researched the good okonomiyaki shops using a Japanese travel magazine and my friend, F, who lives in Hiroshima, met up with us. I was travelling from Shimane by car with 2 friends, K and D, at the time. We met up with F and crammed into a single table to enjoy some okonomiyaki at Henkutsuya, and a tradition was born! On my fourth visit to Hiroshima, I was going to Saijo for the first time and F was living close to the Hiroshima Peace Park. We met up and went back to Henkutsuya because I enjoyed it. We had a good time before heading out for drinks in another area. We didn’t know where else to go, so we just went to Henkutsuya. For my recent trip to Hiroshima, the tradition was already born, so we went to Henkutsuya for a third time on my fifth trip to Hiroshima. This time I was with R, a different friend and F’s friend. Out of all of the okonomiyaki shops, Henkutsuya is an easy place to find as it is behind Parco and it is also near the Okonomimura, but the difference is that Henkutsuya is really good and I can’t help but go there whenever I’m in Hiroshima. Eating okonomiyaki in Hiroshima is a must. 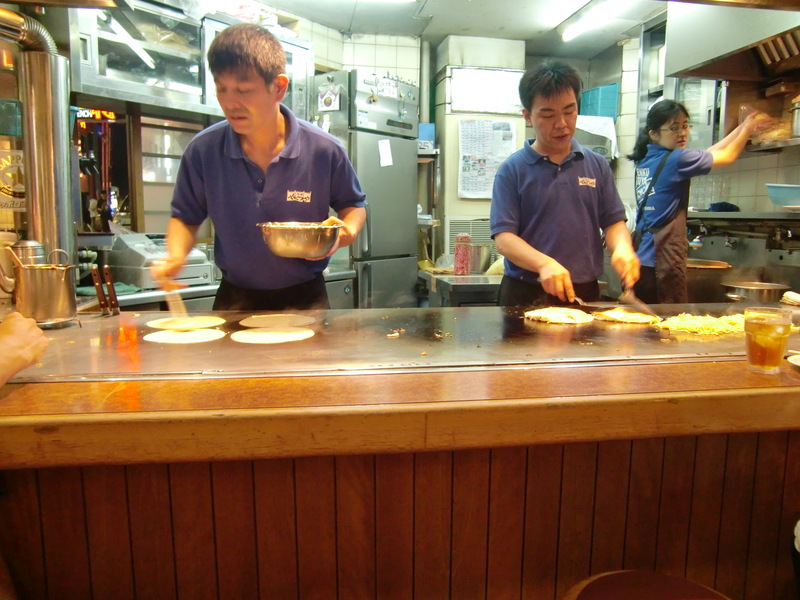 The okonomiyaki is different to the okonomiyaki in Osaka as it is layered. 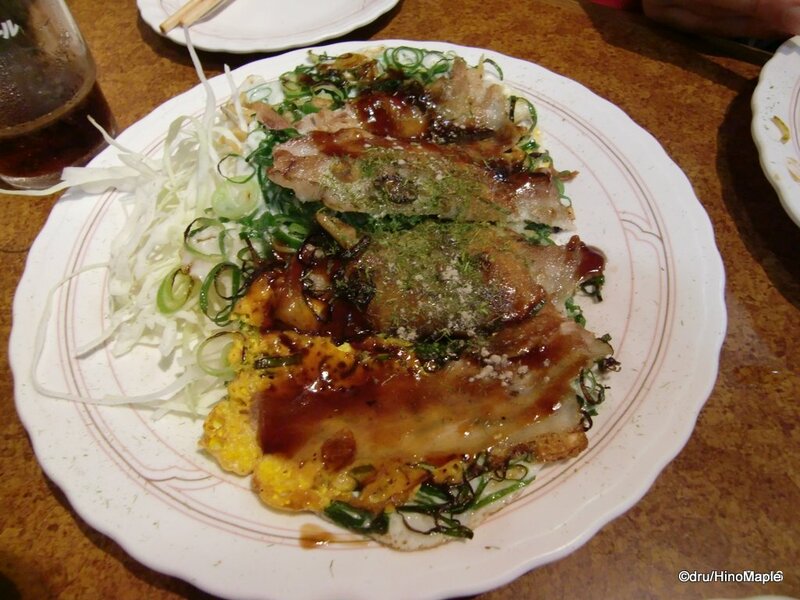 Usually, Kansai style okonomiyaki is mixed together but in Hiroshima they make it in layers. It tastes great and the crepe at the bottom is often cooked just right at Henkutsuya. I usually don’t order anything else except just one okonomiyaki, but since there was a bunch of us, we could easily share one okonomiyaki for 2 people and also order a little extra. Henkutsuya is not very special but I just love the okonomiyaki there. 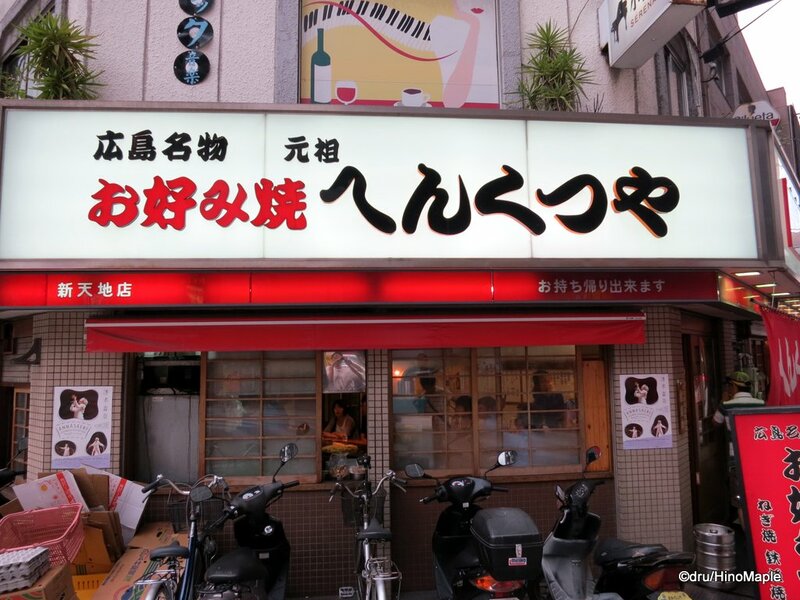 As long as I visit Hiroshima, I’ll be going to Henkutsuya for my okonomiyaki fix. If you are in Hiroshima when I am there, let me know and I can probably meet up with you for some okonomiyaki and beer. 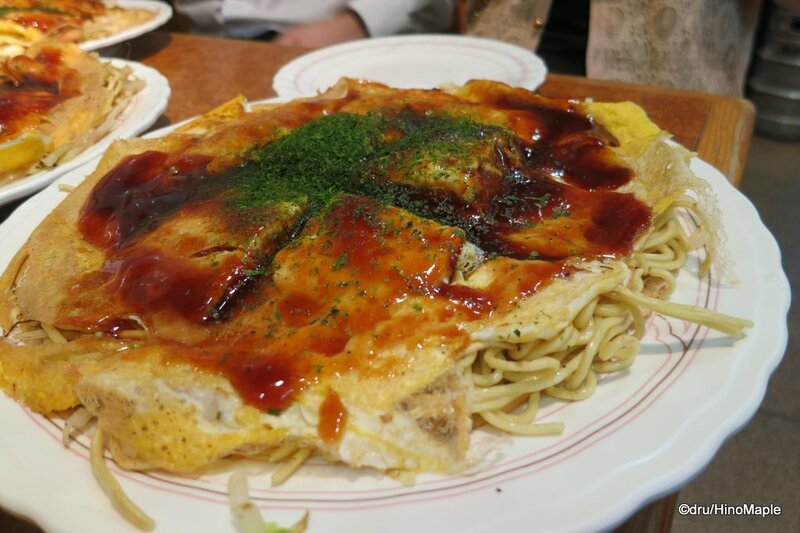 This entry was posted in Chugoku Food and tagged Henkutsu, Henkutsuya, Hiroshima, Hiroshimayaki, japan, Okonomiyaki by Dru. Bookmark the permalink.